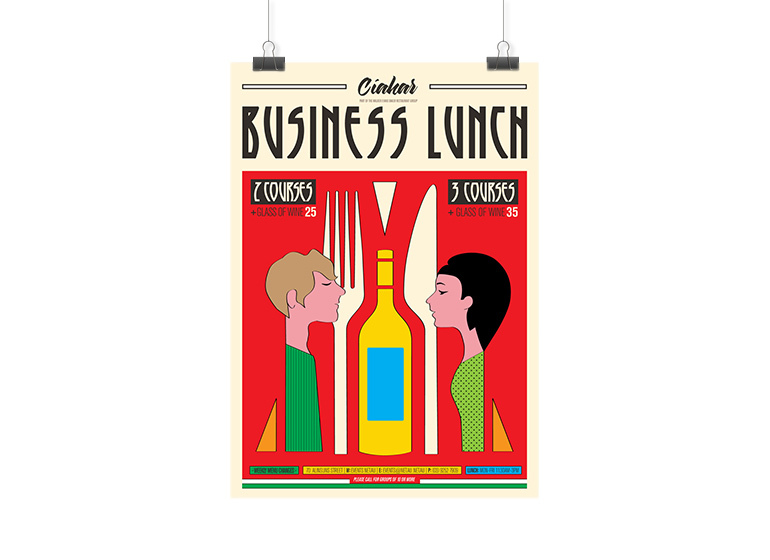 This poster design was created to advertise a business lunch deal in a restaurant located on the ground floor of a large office complex. 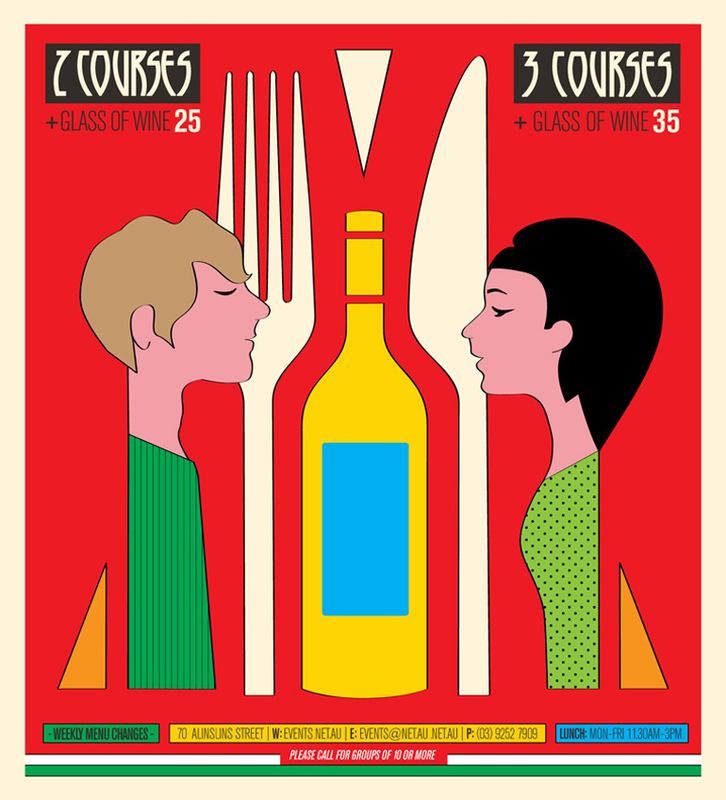 The style was to be alternative, so an art deco approach was taken with bold and colourful illustrations. This project included: A0 poster graphic design, A5 flyer design, pre-press & high-quality print management from a reliable local printer.